Year, engine, trans? There's 3 rear diffs, each with a different ratio. Getting the 3-letter code of your diff would ensure 100% compatibility. Ok I'll take a look. It's a 99 1.8T. Where on the diff is it located? Would I be able to see it with he diff still in the car. I found the info I need, should be DAJ coded. 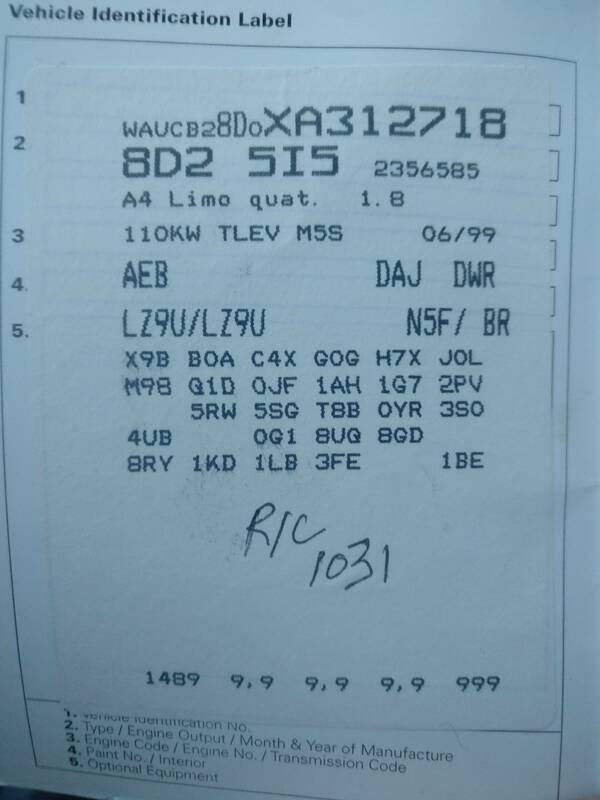 DAJ is correct, part number 01H-500-040-J. 35:9 ratio. 1996-2002 cross reference.